EB 80: DRIVEN BY YOU, DESIGNED BY US. 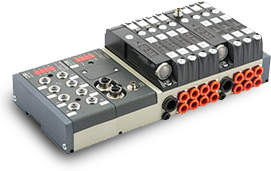 EB80 is a new electro-pneumatic system consisting of one solenoid valve assembly, electric power supplies and input or output digital or analogue signal management. It is the result of extensive research, which mainly involved the collection of data and requirements from customers and their conversion into solutions. This explains the presentation motto chosen for EB 80: “Driven by customers, designed by Metal Work”. This article will help make the EB80 module known, by placing more emphasis on the questions that the reader may have, rather than providing a list of characteristics and products in the range.